This fun unisex toga outfit includes one white toga tunic with attached drape. 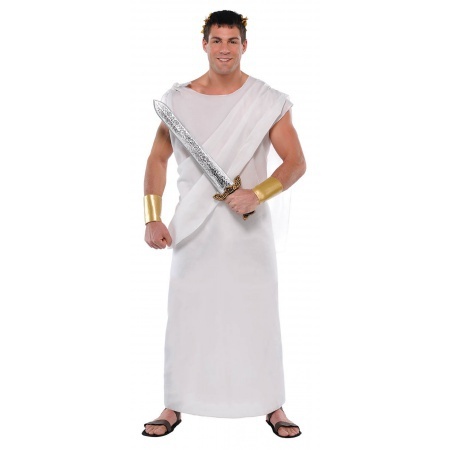 This toga outfit Greek or Roman costume comes in adult size Standard. Great for a Roman costume, Greek god or goddess costume. 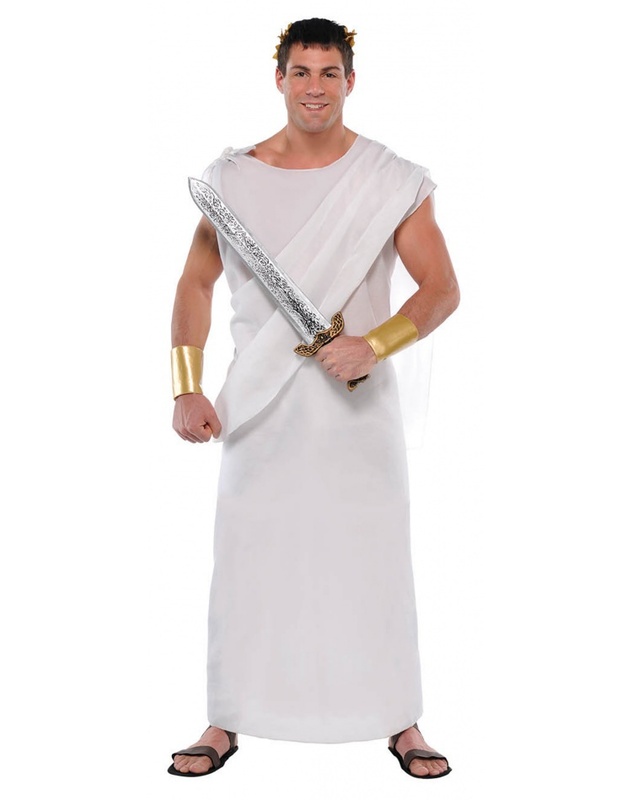 The sword, jewelry, headband and cuffs are not included with this adult toga costume.